With RadarScreen, trading opportunities have nowhere to hide. 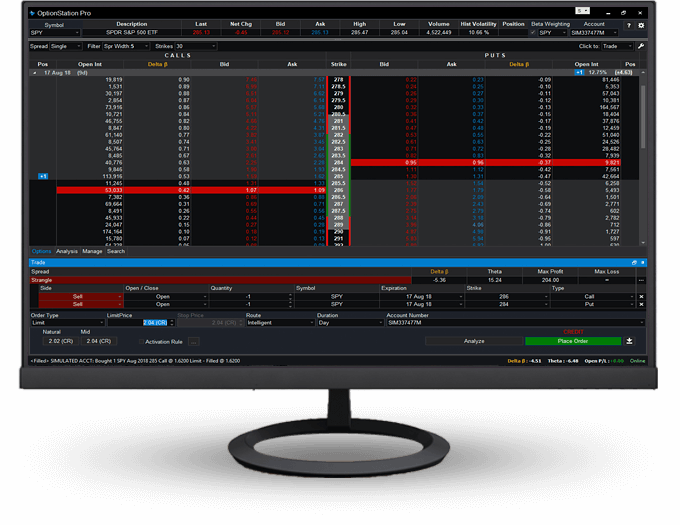 RadarScreen continuously monitors and ranks up to 1,000 symbols in real time, based on more than 180 technical and fundamental indicators as well as your own custom criteria. 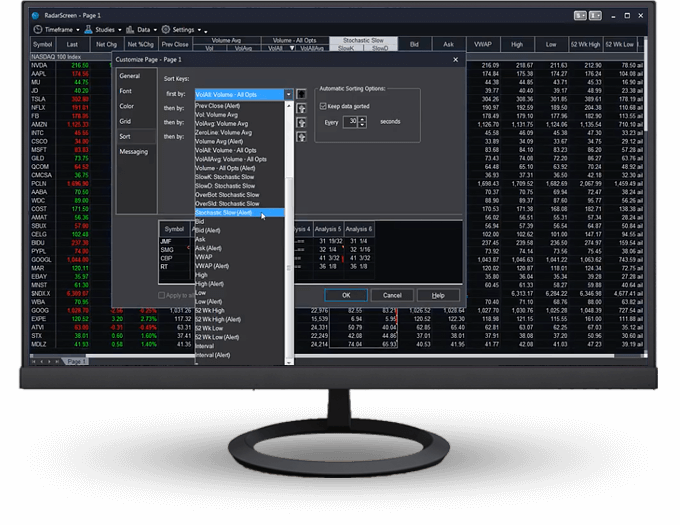 Whether you trade options spreads or buy calls and puts, OptionStation Pro puts the power of a professional options platform at your ﬁngertips. Now you can easily visualize the expected moves and breakeven points right on the options chain. 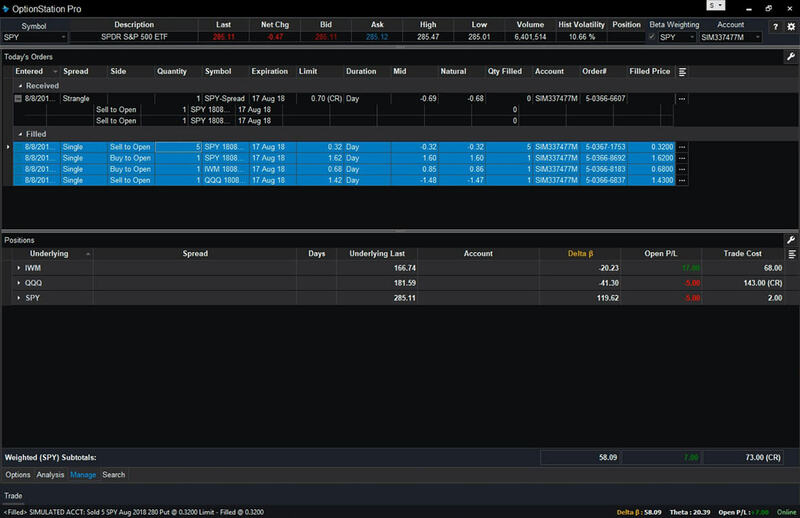 Or build your spread and check your Greeks and max proﬁt or loss before placing a trade. With OptionStation Pro, you can see the risk of a trade before you place it. You can also graph the risk of your current positions or even combine the two to view the new trade’s impact. Want to see the what happens when there is a volatility crush? 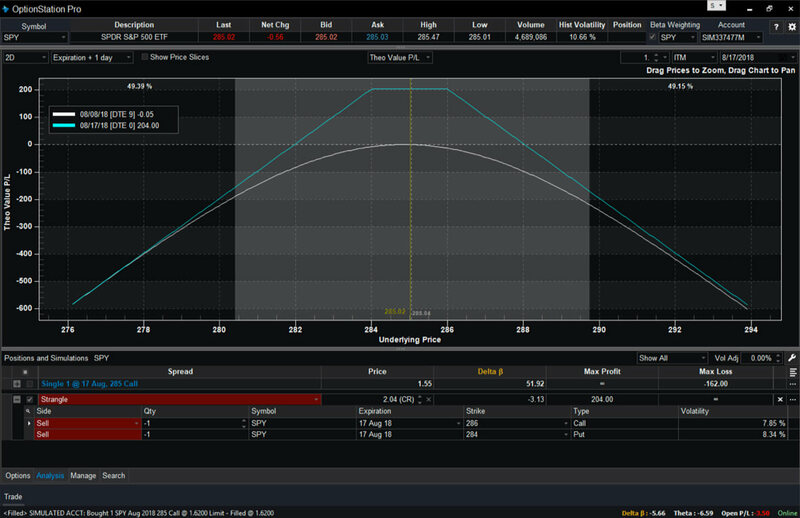 OptionStation Pro lets you adjust volatility levels to simulate a jump or decline in volatility. 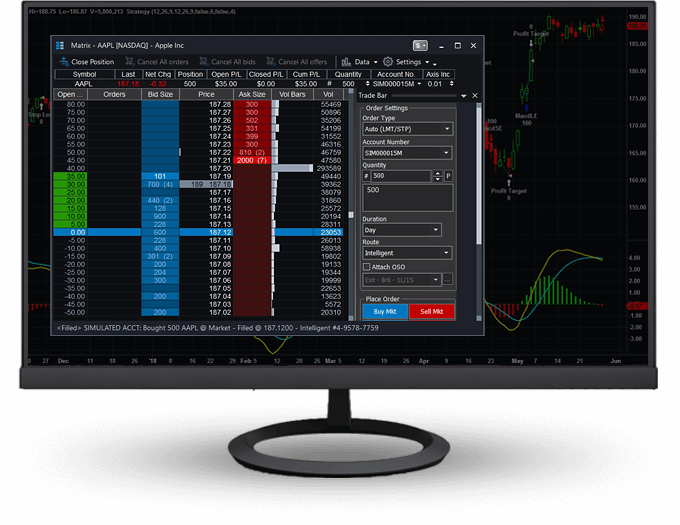 OptionStation Pro makes it a breeze to view your orders for the day. You can also quickly cancel and replace orders as you work on price discovery. From a portfolio management standpoint, you can group your options legs into spreads and view their P/L or apply beta weighting to help balance your portfolio. 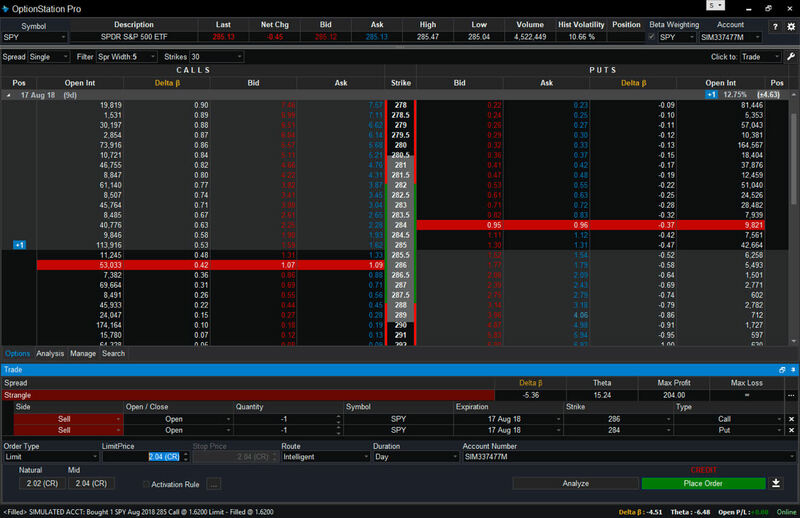 OptionStation Pro even lets you see your beta-weighted Deltas before you place a trade.